So the other day I thought to myself "I haven't really done any involved nail art in the past while. I should fix that." I also thought to myself "I need to use more of my Cheeky plates. There's so many nice designs I haven't used yet." 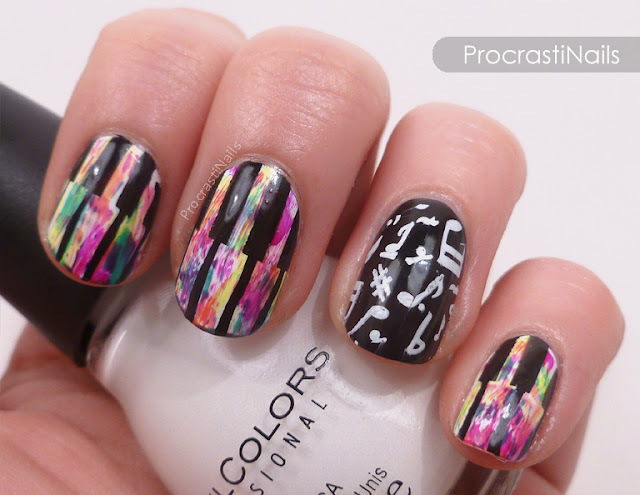 And after giving it some thought I combined the two to create these lovely nails! The "grunge" in the name is because they use Chalkboard Nails' grunge technique and the music part is pretty obvious I would hope. 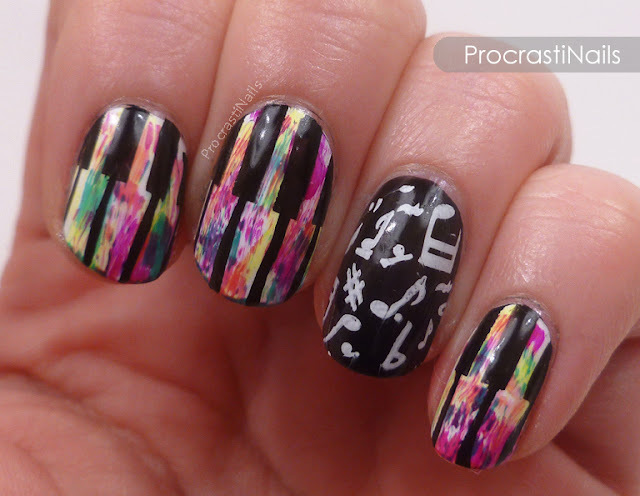 :) If you can't tell, the main nails are stamped with a piano key design. 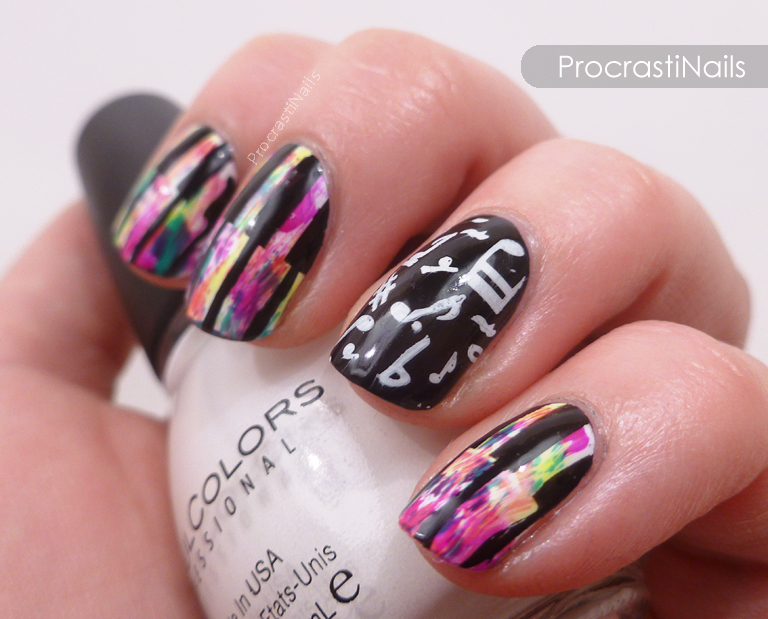 I did rainbow grunge under it to make it more interesting! The grunge technique is basically dragging an almost-dry nail polish brush against your nails, layering up on colours as you go. My base used a whole bunch of colours (Sinful Colors Boom Boom, Sinful Colors Rise & Shine, Sinful Colors Dream On and China Glaze Yellow Polka Dot Bikini) over a base of Sinful Colors Snow Me White so they would pop. I then stamped on top of them with Rimmel London Black Satin and Cheeky Plate CH31. I love how the colours pop so well in this mani... Ahhhh such a good call! Haha. I was originally just going to use two shades of white for the keys, but then decided that was too boring. Super happy with how this turned out! Though, that moment when you have the base prepped for stamping and you cross your fingers that the stamp comes out straight/clear is the WORST. Happy it turned out! 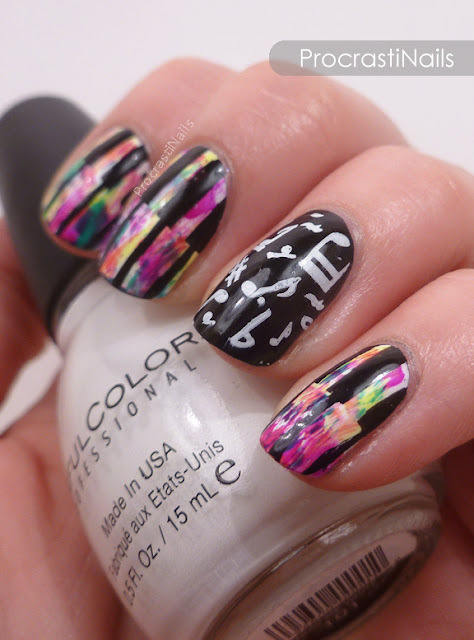 These are also the last set of nail art pics that I took with my old lightbox setup. I might have a few stray swatches hanging around that you might see in the future, but otherwise everything should be coming from my new lightbox in the future. :) Yay! It's a new era! So long cardboard box! These look great! I love them so much! This is a great idea! Your nails look awesome!